Panoramic view of Baltimore City. Eastwood is equal parts city and county, straddling the border of the two jurisdictions just east of I-95 north of Eastern Avenue. 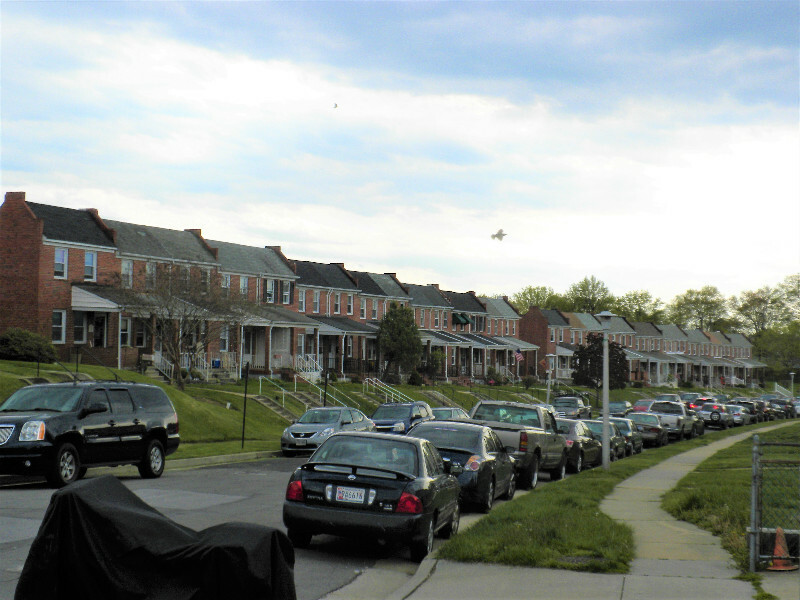 As it is in the adjacent Harborview neighborhood, observers can look to the west and see much of Baltimore City skyline, including Canton and Highlandtown. A wide variety of generally blue-collar residents live in the row homes that make up much of this self-sufficient and civic-minded community. 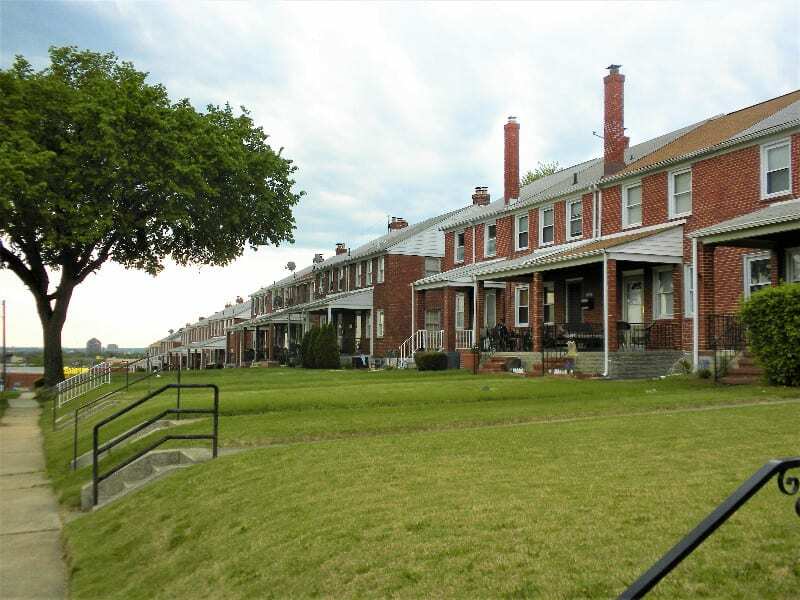 Housing in Eastwood are mostly uniform and comprised of brick row homes offering 2 or 3 bedrooms, basements, and front and back yards. Because it is such a stable neighborhood, a vast majority of residents are established homeowners, with only a few individual rental properties. Look west from Eastwood and you’ll see rows of neat brick homes pointing toward the panorama of the Baltimore City skyline. Since Eastwood is an enclave removed from other Dundalk communities, it boasts close-knit neighbors who naturally are at the ready to help one another. The Eastwood Community Civic Association and the Eastwood Residents and Business Association of Baltimore County each lead self-sufficient neighbors as they constantly improve the area. The Eastwood Center on Westham Way is a center of the community, serving variously as a magnet school and in other functions. Eastwood’s history started when it evolved from countryside to a residential area with its development during the 1940s and 50s. Like most of eastern Baltimore County, Eastwood was the answer needed to housing for the ever-growing population of industrial workers at Bethlehem, Eastern Stainless and Durrett-Sheppard steel companies, Western Electric, Martin Marietta, GM and other plants. That industrial development provided homeowners with a less expensive path to home ownership of sturdy brick homes, a condition reflected by the sturdiness of the community comprised of those homes. Today, Eastwood residents still take pride in their homes, their relationships and the effort put into their neighborhood. The Eastwood Center remains the social and civic center of the community.